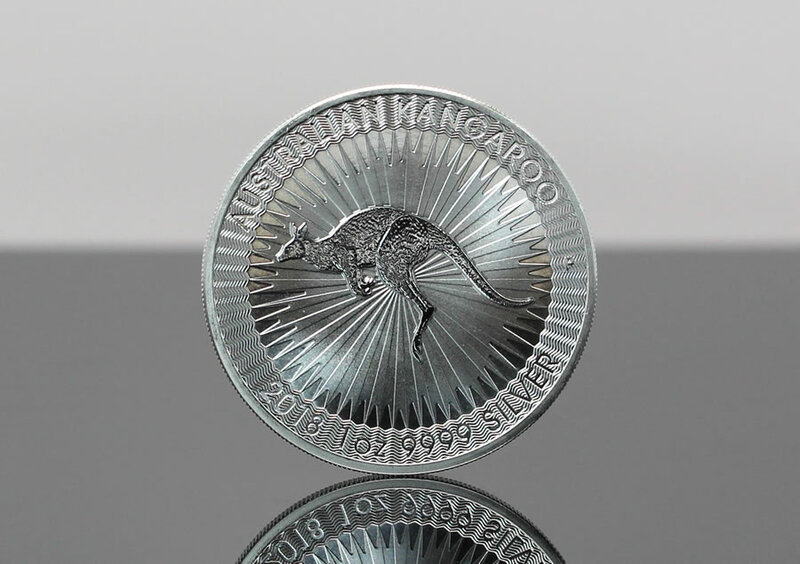 Sales of Australian bullion coins and bars declined in April from March, according to Perth Mint figures published May 2, 2018. They were split compared to the same month a year ago, with gold sales stronger and silver sales slightly weaker. April bullion coin and bar increases registered against divided precious metals with LBMA prices for the month down 0.8% for gold and up 0.6% for silver. Perth Mint sales of gold coins and gold bars reached 15,161 ounces last month, sliding 49.3% from March but rising 44.5% from April 2017 when they registered their lowest monthly total since CoinNews started tracking the Mint’s data in February 2013. For the year to date, gold sales at 108,691 ounces are 16.9% lower than the 130,724 ounces sold in the first four months of last year. April sales of silver coins and silver bars advanced 458,655 ounces, logging declines of 53% from March and 2.2% from a year ago April. Silver sales for the year so far at 3,494,891 ounces are 19.8% higher than the 2,918,480 ounces sold during the same period in 2017. Below is a monthly summary of Perth Mint bullion sales from April 2017 to April 2018. The figures show monthly ounces of gold and silver shipped as minted products by The Perth Mint to wholesale and retail customers worldwide. It excludes sales of cast bars and other Group activities including sales of allocated/unallocated precious metal for storage by the Depository.